Only a true best friend can protect you from your immortal enemies . . . Lissa Dragomir is a Moroi princess: a mortal vampire with a rare gift for harnessing the earth's magic. She must be protected at all times from Strigoi; the fiercest vampires - the ones who never die. The powerful blend of human and vampire blood that flows through Rose Hathaway, Lissa's best friend, Only a true best friend can protect you from your immortal enemies . . . Lissa Dragomir is a Moroi princess: a mortal vampire with a rare gift for harnessing the earth's magic. She must be protected at all times from Strigoi; the fiercest vampires - the ones who never die. 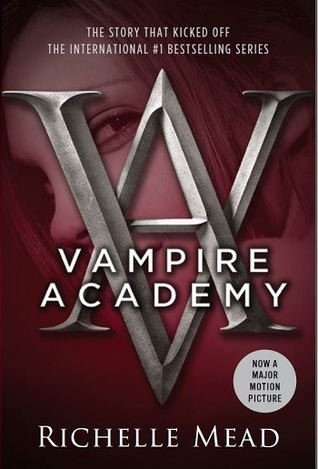 The powerful blend of human and vampire blood that flows through Rose Hathaway, Lissa's best friend, makes her a dhampir. Rose is dedicated to a dangerous life of protecting Lissa from the Strigoi, who are hell-bent on making Lissa one of them. After two years of freedom, Rose and Lissa are caught and dragged back to St. Vladimir's Academy, a school for vampire royalty and their guardians-to-be, hidden in the deep forests of Montana. But inside the iron gates, life is even more fraught with danger . . . and the Strigoi are always close by. Rose and Lissa must navigate their dangerous world, confront the temptations of forbidden love, and never once let their guard down, lest the evil undead make Lissa one of them forever . . .